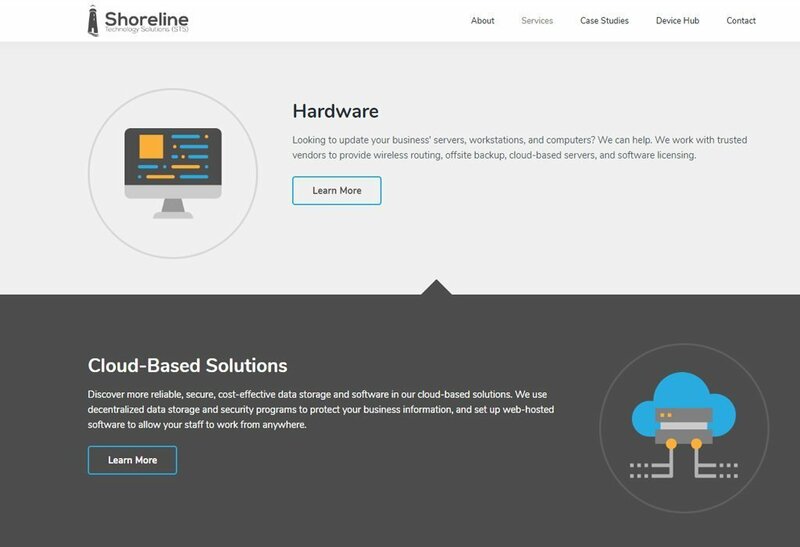 Shoreline Technology Solutions is a managed IT services provider in Holland, Michigan. They wanted a site redesign to get leads online and look more professional online. The visual design is based on their brand identity and fits the IT services they provide. The homepage introduces the company and gives an overview of their services. It also includes two calls to action to guide visitors into their sales funnel: one to contact them, and one lead magnet, which is a free network security assessment. The Services page gives an overview of services, with links to more info on each category of services. 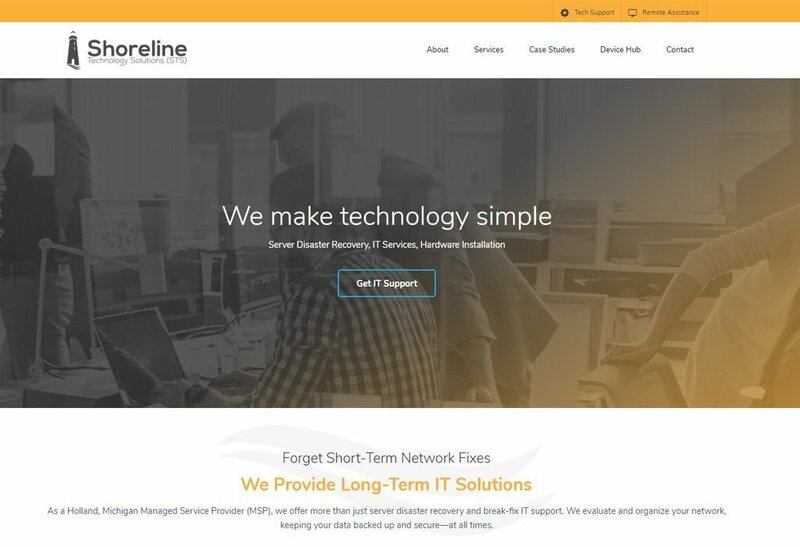 Each services page includes a description of how an organization can benefit from working with Shoreline Technology Solutions. 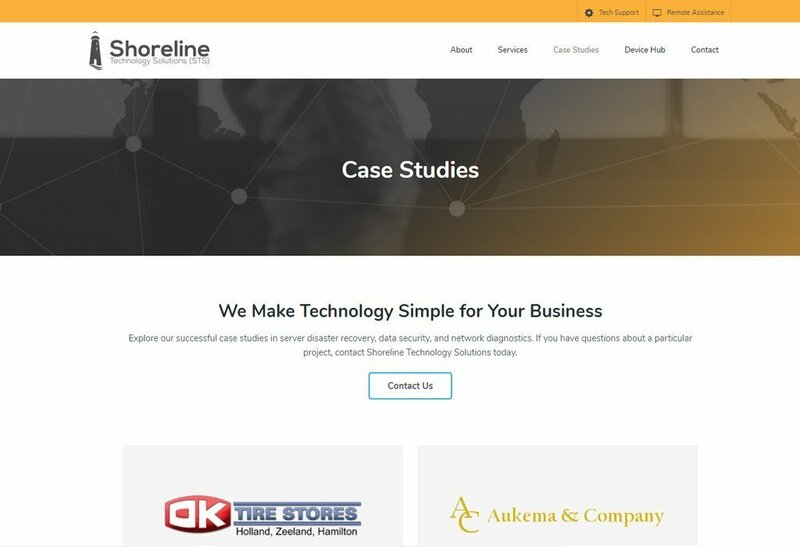 The Case Studies page showcases several successful client relationships, describing how Shoreline Technology Solutions helped each client. The site uses a mobile-friendly (responsive) design, so it works well on mobile devices as well as desktops. The site is powered by WordPress, so the company can edit the site’s content themselves. We performed search engine optimization (SEO) when building the site, to lay a foundation for attracting visitors from search engines. We’re driving traffic to the site through SEO and pay-per-click (PPC) ads. Once visitors arrive on the site, we’re using persuasive text and calls to action to convert them to leads. Amazing work ethic. Helped me write content for my web site in which most other companies were not willing to help with. Helped with Google ad words and SEO. We have won plenty of work because our new and improved web site is something clients always check out before signing on with a new vendor. Our old web site lost us so much work.